If you have been dreaming of traveling to Japan and want to start planning your vacation, this travel guide is packed with all the tips and information that you'll need to know before your trip to the "land of the rising sun". From foods to try in Japan, to how much money to budget, to what travel gear to pack, to the best things to do in Japan, we're covering everything. And I mean everything! We're even answering your embarrassing questions like, "What are the toilets like in Japan?" We are sharing exactly how much it costs to travel to Japan, and we're throwing in some money-saving budget tips! This is the ultimate resources with everything you need to know before visiting Japan for the first time. Sidenote: it's much easier to purchase the JR Pass before entering the country. Give yourself at least a week for the voucher to be shipped to you. Also, before you pack your bags and book your flights, don't forget to do this... you'll thank us later. Did you know Japan is a great place to teach English? Find out how to get certified to teach English abroad. In this article, we will answer each of the commonly asked questions below. Click on each section to jump to the answer, or read through it all so you're totally, 100% prepared! Why should Japan be on your travel bucket list? Do I need a Tourist Visa to visit Japan? How much does Japan cost? What is the Religion in Japan? Do I need a power converter in Japan? What are the bathrooms like in Japan? Japan is a surprising combination of peace and chaos, old and new and has just the right amount of quirkiness to make it an addicting place to visit that will have you coming back for more! Long answer: We'll give you a little background about our first visit and we'll share with you in this article what we want to see next time we travel to Japan. Come along on our trip through Japan and watch our crazy week in Japan. If you cannot see the video, please turn off your AdBlocker. Thanks! *Note, there are affiliate links on this page, which means we get a small commission if you purchase some of the products or services we recommend. We want you to know that we never, ever recommend anything that we wouldn't personally use ourselves. If you're considering a trip to Japan, you're probably wondering what time of year is best to visit. The wonderful thing is every season is a great time to visit Japan, and you will have a completely unique experience. We'll lay out what to expect in each season, as well as the pros and cons of visiting during these times. Note: The weather is based on averages, though it can vary a lot throughout the country. Skiing in Japan is said to be some of the best in the world! For more info: This website does a good job describing the average temperatures and rainfall around Japan each month. Spring is considered by many as a great time to visit Japan for its comfortable temperatures, cherry blossoms and little chance of rain. One thing you should be aware of is the so-called "Golden Week" which falls in the springtime and is made up of 4 national holidays which fall into a 7-day span. This means many Japanese people will also be traveling around the country and accommodation and tours are often booked far in advance. This site has more information about Golden Week in Japan. EVERYTHING you need to pack for Japan! We'll immediately send you our detailed packing list for Japan. It's full of tips on Japanese culture, sustainable travel tips, and information we wish we knew before going to Japan. We'll also send you bonus tips on all things Japan, like how to travel cheaply, where to go and the best places to stay. Before you head off to you inbox, have you thought about how you're going to travel around Japan? We have a whole article on using the Japan Rail Pass that you might want to look at. While it's not required to enter the country, we always recommend purchasing travel insurance before any trip. It is a small price to pay for the peace of mind you'll have knowing you will be covered in case of an emergency or if anything is stolen. World Nomads offers arguably the best, most comprehensive coverage out there. We also have used Allianz Global Assistance travel insurance and love their reasonable rates and easy to work with customer service. This article walks you through everything you need to know about choosing the best travel insurance policy for your specific needs. These facts will be good conversation starters with other travelers or even locals! So break that ice and let them in on some fun facts about Japan! Japan has an average of 1,500 earthquakes each year! 6,852 islands make up the country of Japan. There are more than 200 volcanoes in Japan. The literacy rate in Japan is nearly 100%. We need them to teach the rest of us their ways! There are 66 countries in total where their citizens do not require a visa to enter Japan, but the time you can stay depends on which country you're from. Citizens from many countries (including the U.S.A., the U.K., Canada, and Australia) get avisa exemption (a.k.a. FREE) 90-day tourist visa, provided they will not be working in Japan. 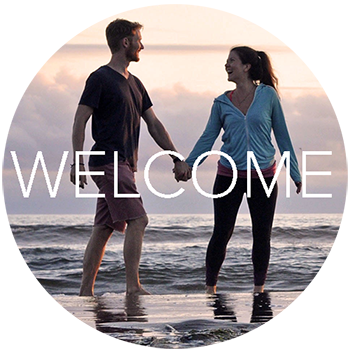 Other countries get a temporary tourist visa for a period of 15 days or less. To find out the specifics for your country, check out the Japan National Tourism Organization, which explains the requirements for each country. Japan is overall very safe and crime is low. I once met a girl who was an English teacher in Tokyo, and she said she left her wallet in a train station. It sat there, untouched, and the next day when she retraced her steps it was in the same (heavily trafficked) place she had left it. But even though theft isn't common in Japanese culture, that doesn't mean it can't happen to you. As with any place in the world, always be aware of your surroundings and use common sense. And we always recommend getting travel insurance to make sure you're covered in case anything gets stolen or you run into other emergencies. Tip: We recommend downloading a converter app on your phone like this one to see the exact exchange rate for your selected currency at the time of your trip. Yes, but hold up... Major credit cards will typically be accepted at big hotel chains, nice restaurants or shops in large cities, but you'll want to have cash on hand to use in small restaurants, markets or in more rural towns. There are still many places where credit cards are not accepted, so it is a good idea not to rely on your plastic alone. Should I get money from my bank before my trip to Japan? This is a question we get all the time. The answer really comes down to your personal preference, but we never get money out in advance anymore. Whenever we enter a new country, we walk right past the "Currency Exchange" counters (they are a huge rip off most of the time!) and we go to an ATM to withdraw cash. You will get the best exchange rate possible at an ATM. If the thought of showing up in a new country without cash on hand makes your hands sweaty, then by all means ignore this advice and grab some yen from your home bank before you leave. But I will say that airports always have ATMS, and they are easy to find in train stations as well as in 7-Eleven's and Family Marts in most big Japanese cities. Before heading to a rural town though, be sure to take out cash just in case you can't find an ATM. Be sure to alert your bank ahead of time that you will be traveling so they know your transactions aren't fraud. Also, it's a good idea to carry more than one card in case you have an issue with one of them. And carry them in two different locations -- for example, one in your wallet and another in your backpack so in save one gets lost or stolen, you still have access to the other. Hot Tip: We have a checking account with Charles Schwab, and they reimburse every single ATM fee. This means we never have to take out more money than we feel comfortable with carrying at a time. Try looking into accounts with similar benefits. 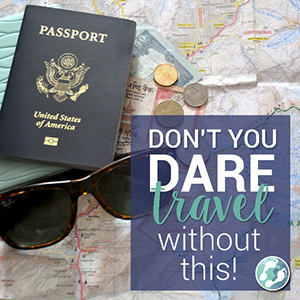 It will save you so much money on your travels. Check out which travel credit cards we personally recommend. We know it can be helpful to see an idea of how much certain things cost to give you an idea of how much you'll be paying. These are all average prices in Tokyo, and this is only meant to give you a baseline. You can find these items cheaper or you can pay much more. Also, prices will vary around the country. Train from Kyoto to Tokyo: ¥13,080 one-way ($120 USD) Now you see why everyone gets the Japan Rail pass. To see how much we paid for things like food and accommodation during our trip to Japan, check out this article where we break down all our Japan costs. I'll be straight to the point: Japan is not cheap. Contrary to many other destinations in Asia, like Thailand or the Philippines, Japan is not an ideal location for budget travelers. That said, it is unlike any country in the world and totally worth visiting. We'll break down about how much money you should plan to budget for a trip in Japan based on your travel style. *Note: These are estimations for one person and do not include flights. You'll stay in hostel dorm beds, grab breakfast from one of the many 7-Eleven's or Family Marts, and will do as many free activities as possible. You'll be staying in comfortable, though not fancy, hotels or Airbnbs. You'll want to try lots of Japanese food -- both budget meals and a couple nicer ones too. You will use public transportation to get around and you want to see as much as possible, but you're willing to make some sacrifices to save money. Budget isn't too much of a concern for you. This isn't necessarily luxury travel, but you are willing to pay more money for convenience and comfort; and splurging on unique, once-in-a-lifetime experiences is not a problem for you. More info on Japan travel budgets: This article has a detailed description of how much money we spent in one week in Japan. We break down each portion of our trip -- from transportation to food to accommodation to entertainment. 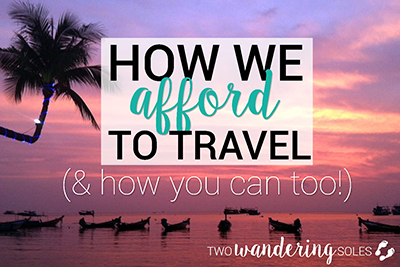 If you want to know how we afford to travel (& how you can too! ), we think you'll love this article! While it's not a cheap country to visit, there are certainly ways you can save money while traveling in Japan. Buy a Japan Rail Pass if you plan to venture outside of Tokyo. This article breaks down how much the Japan Rail Pass costs and how to purchase it. Get your breakfasts and snacks at 7-Eleven or Family Mart (they are everywhere around the country!). While you might never consider eating at a convenience store in your home country, the fresh food options are surprisingly good at these stores in Japan. I'm not joking. You'll see many locals doing the same. Have your biggest meal midday and take advantage of "lunch sets" which often consist of a large meals (sometimes with a dessert) and are typically between $5-7 USD. Conveyor belt sushi is a good way to try all the types of sushi your little heart (and stomach!) desire without a huge price tag. Plus, it's a fun experience in itself! One of the most expensive parts about travel in Japan is the transportation. That said, you get what you pay for. The trains and metros in Japan are some of the cleanest and most efficient in the world. The best way to save money on trains is to buy the Japan Rail Pass. I know, I know, it is a big price to pay up front, but we've done all the calculations, and simply put: if you plan to visit both Tokyo and Kyoto, buying the pass will save you money. This article lays out exactly how much the JR Pass costs and how to get it taken care of before your trip to Japan so you don't have to worry about it once you get there. Also, in major cities, there are sometimes "package deals" on transportation. In Tokyo, we found the 24-hour metro pass to be well worth the price, and in Kyoto, the all-day bus pass was a money-saving purchase. Overall, the trains are clean, comfortable and efficient. The rail system covers almost the entire country, making it a wonderful way to get around. This article goes into detail with everything you'd ever want to know about the Skinkansen Japanese Bullet Trains. The language in Japan is, quite obviously, Japanese. But many people in big cities, like Tokyo, Kyoto and Osaka also speak English. Signs are written in Japanese characters, and in the cities most have their Roman counterparts. When traveling, we always try to learn a couple important phrases. It shows locals you are trying to learn about their country and it can be fun too! When traveling in a country other than your own, it is always a good idea to do a little research on what is polite so that you don't accidentally offend people like this. Eating while you walk is considered sloppy. Instead, find a place to sit and enjoy your snack. Pointing is considered rude. Instead, use an open hand to make gestures. Blowing your nose in public can be considered rude. Japanese people often go into the bathroom to blow a stuffy nose. On a crowded subway or train, it is polite to take off your backpack and hold it in your hands. Slurping noodles not only cools them down as you eat, but it indicates that the meal is delicious. So slurp away, it's the polite thing to do! Taking off your shoes is common courtesy before entering many places. If the floor is raised at the doorway, it is an indicator that you should remove your shoes. If you want a full run-down, this article lists 50 Japanese manners and customs! What is the Tipping Culture in Japan? Should I tip at restaurants in Japan? This is a question we always ask ourselves once we reach a new country, and it is never fun being caught off guard, unsure of what to do. In Japan, tips are not expected, and can even be considered rude. And even if the server is not offended, they will likely be confused. Buddhism and Shinto are the main religions in Japan, though they don't play a huge role in the lives of many Japanese people today. All throughout the country, you can visit temples and shrines to get a better understanding of the religions and culture. You can even do a temple stay in order to really delve in and learn about Buddhism. Read this before visiting a temple or shrine in Japan. Magical Trip tours have highly-rated food tours throughout Japan, so you should check them out. Here is their Shinjuku food tour in Tokyo. This article lists 10 foods you should definitely try in Japan! Traveling with dietary restrictions can be challenging, but it's not impossible. Here is some information on specific allergies and restrictions that can help you plan your time in Japan. Japanese cuisine don't appear to be heavy on wheat, so it might surprise you to learn that gluten is found in lots of Japanese dishes. Many of the staple sauces (including soy sauce and miso) have wheat in them. Many Japanese people are unfamiliar with gluten-free eating, so it can be a bit tricky to find food that will work for you if you can't eat gluten. This article is incredibly helpful for anyone traveling to Japan who is gluten free or celiac. Vegetarian and vegan restaurants are becoming increasingly popular in cosmopolitan parts of Japan, but it can still be very difficult to navigate menus if you don't read Japanese. Happy Cow (above) is a great website that lists vegetarian/vegan restaurants all around the world! Dashi is a fish stock base that is in many dishes, even if they don't contain meat. Be careful when ordering soups, or ask waitstaff if the dish contains dashi. Miso soup, however, is typically suitable for vegans. Conveyor belt sushi restaurants are a good place to find vegetarian food as they often have veggie rolls, avocado rolls and cucumber rolls, as well as a variety of desserts. Okonomiyaki is a good dish to try, as it is made to order and you can customize the ingredients to your liking. Check out this article that describes exactly what okonomiyaki is. Try out a vegan food tour with Magical Trip and sample vegan ramen and Japanese desserts. If you have any dietary restrictions, it might be a good idea to print out these cards and carry them with you during your trip in Japan. They explain your dietary restrictions in Japanese so staff at any restaurant is sure to understand what ingredients you can and cannot eat. In Japan the standard voltage is 100 V and the power sockets are type A and B (pictured below). The socket is the same used in North America, but the voltage is lower, so yes you will need a power converter for electronics that don't already have a converter. This website is a super helpful resource when it comes to electricity all around the world. Simply select your home country and it will tell you if you need a converter and/or plug adapter for your visit to Japan. We recommend this all-in-one converter-adapter that works in any country. This means you only need one item no matter where your travels take you! This might be an embarrassing question to ask out loud, but I promise you aren't the only one thinking it. If it's your first time visiting Japan, you likely have no idea what to expect when it comes to bathrooms. Be warned though that in some train stations or in more rural parts of the country, you may find squat toilets similar to ones you'd find in many places around Asia. First, I will say that it is not necessary to get a SIM card during your travels in Japan. WiFi is common, and you'll find it in most hotels or hostels, as well as in several coffee shops and restaurants around the country. While in WiFi, you can easily talk with friends and family back at home through apps like Skype and Facebook Messenger, and you can connect with locals using WhatsApp. This article breaks down how to get a Japanese data plan. Alternative Idea: If your phone isn't unlocked or you don't want to get a Japanese SIM card, consider renting a pocket WiFi device. This allows you to bring a hotspot with you wherever you go so you can search for directions, get train schedules or look up restaurants in the area. Plus, you can connect up to 10 devices, which makes it superior to a SIM card, in our opinion. Google Navigation: Can give you the best routes for the metro and trains and even has live updates on delays. Hyperdia: The go-to train scheduling app/website in Japan. Plug in a route and it will tell you the times throughout the day and the prices, including each seating class. GuruNavi Restaurant Guide: We've been told this is the app you should use to find restaurants over TripAdvisor because the latter has more reviews from foreigners than locals. GuruNavi is easy to use and will point you in the direction of hole-in-the-wall places where locals eat instead of the typical tourist haunts. Japan Travel Guide With Me: This app has all sorts of useful information for your travels in Japan, and the best part is it can be used offline. Japan is a huge country, and it would be an extensive list if we went through all the notable cities to visit. But if you are visiting Japan for the first time, theses cities are a good place to start as they will give you a good taste of the country's culture and are relatively easy to get to and from. Tokyo - This huge metropolis is likely where you're flying in and out of, and it is once of the most interesting cities we've visited anywhere in the world. From quirky experiences, to amazing foods, Tokyo is definitely worth some time on your itinerary. Our friend, Nicole, over at Wee Gypsy Girl has a great list of unique things to do in Tokyo. 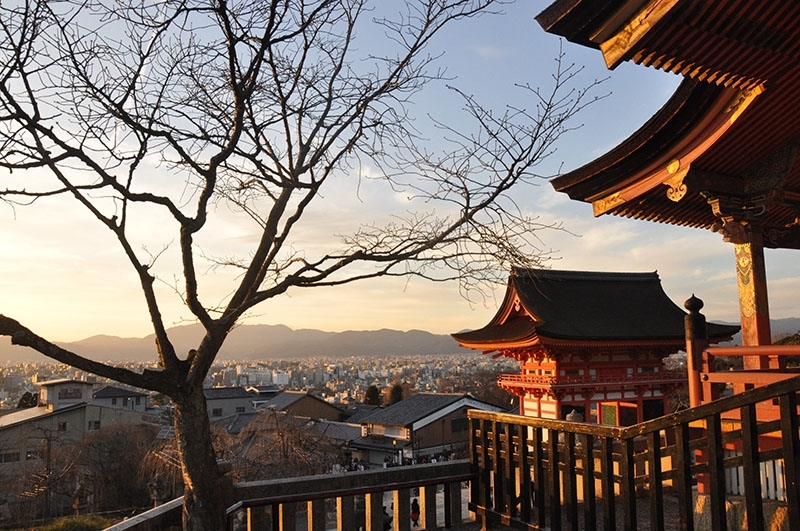 Kyoto - Packed with history, important temples, gorgeous architecture and a charming atmosphere, this city is a favorite on many Japan itineraries. If you are traveling with your little ones, there are tons of things to do in Kyoto with kids. Osaka - Another major hub to fly in and out of Japan, Osaka is worth a visit. It's full of history and food, and is a good city to have a night out with friends. And if you're wondering what to do, check out this list of things to do in Osaka. Hakone - At the footsteps of Mt. Fuji, Hakone is a peaceful retreat from the big cities of Japan and a chance to relax in an onsen and sleep in a ryokan. Mount Fuji - The most famous mountain in Japan, you can get a glimpse of this beauty when traveling in Hakone. Fushimi Inari Taisha Shrine - Known to tourists as the "Orange Gates", there are thousands of majestic orange gates covering a maze of paths leading up to the shrine. Arashiyama - Located on the western edge of Kyoto, Arashiyama is an area that is filled with temples and shrines, but the main attraction is the Arashiyama Bamboo Grove. Temples in Japan - Of course temples will be on your list of things to see in Japan. The Golden Pavilion in Kyoto is stunning with the garden setting and reflection off the pond. Shibuya Intersection - Famously known as the "busiest intersection in the world" crossing the street here is quite an experience. Note: We have not been to Nara Deer Park, so we can't personally attest to this popular attraction. We have heard that visitors are able to feed the deer with crackers that are for sale on site. We are typically against the feeding of wild animals, and would urge anyone visiting Nara Park to do a little research on the topic. These places all make for great pictures! If you want to take better travel photos, we wrote up some easy and creative tips to improve your travel photography skills! One of the many reasons Japan is such a wonderful place to visit is there are so many unique experiences that can only be had in this country. Here are just a few of the things that are quintesesstially "Japanese". 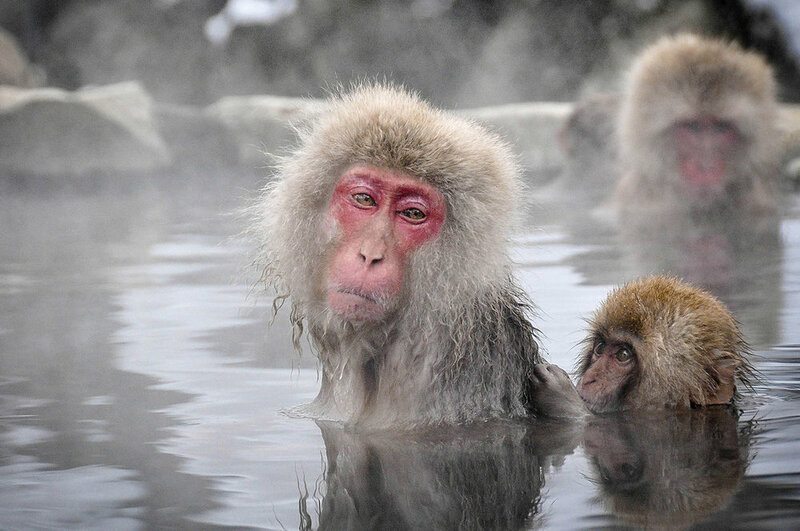 Soak in an Onsen - strip down to your birthday suit and soak in a hot tub until you get pruney. Don't worry, they are gender seperated and some are even private. The best one we dipped in was in the Hakone region. Take your picture in a Photo Booth - Pop in one these with your friends and take a few snaps. Then, edit your photos instantly, enhancing your eyes, adding blush, or slimming your cheeks. It take the work selfie to a whole new level. See the Nara Deer - Just a little ways outside of Osaka, there is a park (and part of the city) literally flooded with cute spotted deer. They are quite tame, but please do not feed wild animals. 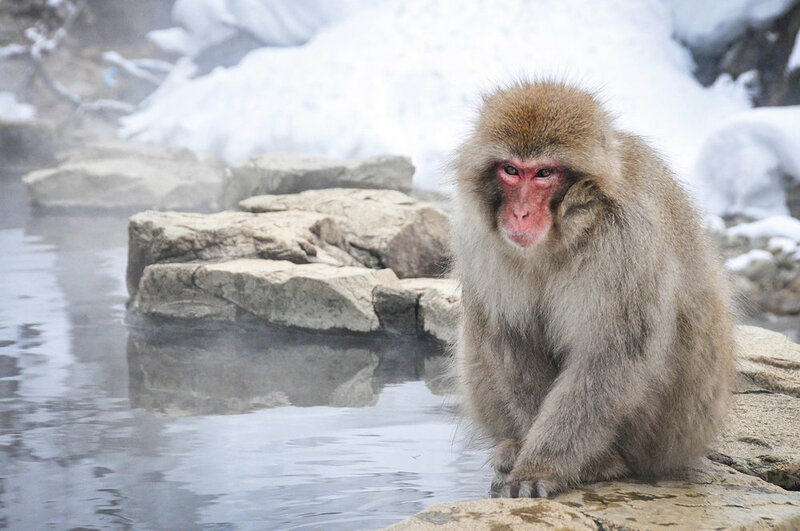 Jigokudani Snow Monkeys - A few miles away from Nagano, there is a park where the local macaques monkeys soak in a spring-fed hot tub and play around in the snow. Stay at a Ryokan - Experience a traditional Japanese-style inn and stay at ryokan to enjoy in Japanese hospitality and relaxation. Take a Japanese cooking class - Learn how to make proper sushi or traditional ramen to impress your friends at home. (Read why we LOVE taking cooking classes on our travels!) Or take a food tour, like this Kyoto food tour from Magical Trip. Sleep in a Temple - Usually taken as retreats to refresh your body and mind or deepen understanding of religion, temple stays are an unique experience you won't forget. Themed Cafes - From vampire cafes to butler cafes to prison-themed restaurants, there are quirky cafes for every interest. There are also animal cafes such as dog and cat cafes too. Responsible Travel Tip: Be cautious about animal tourism. Domesticated animal cafes (like dog or cat cafes) seem to take care of their animals. But for non-domesticated animals cafes, like owl cafes, we would just be a little hesitant to visit. Go Geisha hunting - On the old street of Kyoto, Geisha scurry from one event to the next. Try to get a glimpse of them, or better yet try to get a picture. Theme restaurant - This was one of the craziest dinners we ever attended! Eat your dinner as robots fight right in front of you to techno music and lazer lights. It's an unforgettable experience. See the fish auction each morning - Show up around 3 a.m. (yep, that early) as the fishermen come in to port and sell their fish at the Tsukiji Fish Market. Then find a shop and have the freshest sushi you'll ever eat. Go skiing or snowboarding - Japan boasts some of the best ski resorts and mountains in the world. If you have the chance to hit the slopes, don't hesitate. Watch a Sumo wrestling match: There are 6 sumo matches held each year. If you're lucky enough to be there at the right time, don't miss the opportunity! Three matches are held in Tokyo (January, May and September) and one each in Osaka (March), Nagoya (July) and Fukuoka (November). Take a Sumo wrestling tour in Ryogoku and learn about Sumo culture. Japan is not the cheapest travel destination, but there are some free and inexpensive activities you can take advantage of to keep your wallet happy! Free Walking Tours: You'll meet other travelers and learn stories and information that you'd never find out on your own! You can find walking tours in the bigger cities, like Kyoto Free Walking Tour, Osaka Free Walking Tour and Tokyo Free Walking Tour. Parks: Meiji Shrine is not far away from Tokyo and it is free to enter. The Arashiyama bamboo grove in Kyoto is also free to explore on your own. Join a meet up: There are plenty of meet up groups that you can find online. Simply Google "Meetups in _____." Here is the Meetup site for Tokyo. Explore markets: There are thousands of markets all throughout Japan. You can't miss the Tsukiji Fish Market in Tokyo or the Nishiki Market in Kyoto. The walking street/restaurant haven in Dotonbori area in Osaka. Wanna take a tour? We recommend taking a tour with highly-rated tour company, Magical Trip. They specialize in small group tours led by local guides all over Japan, from Tokyo to Osaka. Click through to browse all small group Japan tours they offer. In Japan, festivals are called "matsuri" and they take place all year long. This is a list of some of the more unique festivals in Japan. For a more comprehensive list of festivals in Japan, Boutique Japan or Culture Trip are good resources. Japan is more than just Tokyo. If it's your first time traveling to the "Land of the Rising Sun", we'd definitely recommend a visit to its capital city as well as some of the other more well-known places like Kyoto and Osaka. But, if you have "been there done that", or you have a lot of time to play with, here are some ideas for a trip more suited to your interests. Nara Deer Park: See 1,200 adorable and friendly deer roaming freely around this park. Amusement Park(s): There are many to choose from, including DisneySea Tokyo, DisneyLand Tokyo and Universal Studios (which includes the Wizarding World of Harry Potter). Hitatchi Seaside Park: Popular with families for the millions of flowers that bloom all year round, ferris wheel, putt-putt golf and bike paths, this could be a nice day trip from Tokyo. Koizumi Bokujo Farm - Visit a Japanese dairy farm where your family can learn about the animals and nature. You can even feed or milk the cows if you like. Oh and don't forget to get some ice cream from the farm shop before you leave. Our friends over at Y Travel Blog have a get article about traveling to Japan with your kids on a budget. Japan can actually be an incredibly romantic place, depending on the destinations you choose. Okinawa: If you're looking for a romantic beach getaway, this may be just what you're looking for! Shirakawa: Tucked away in the mountains of Central Japan, this UNESCO historical village is stunning. Kurashiki: Sometimes referred to as the "Amsterdam of Japan" for its canals and charming architecture, it's easy to see the romantic appeal of this town. Park Hyatt Hotel in Tokyo: Have a drink at Lost in Translation hotel. It's an incredible view overlooking one of the largest cities in the world. You can pretend your Bill Murray and the other Scarlett Johannson. Despite having some of the largest and busiest cities in the world, there is so much nature to be explored in Japan, especially in the mountains. There are plenty of incredible hiking trails throughout Japan, so make sure you pack your hiking boots. Mount Fuji: The icon of Japan is open for hiking during the peak season of July and August when the mountain huts are open. Takachiho Gorge: Walk along or even boat through the mossy green gorge in the Miyazaki region of Kyushu Island. The Tatsuzawa Fudo no Taki Waterfall ends the 1 km trail near a Buddhist temple. Cedar Avenue in Hakone: It's a preserved section of the historic Tokaido Road, this area has over 400 Cedar trees towering over the forest floor. Tottori Sand Dunes: Streching over 2 km and rising up to 45 meters high, these dunes are a famous attraction with a sand sculpture museum. Mount Tateyama: It has the highest peak of the Toyama mountains and is one of the three sacred mountains of Japan, after Mt. Fuji and Hakusan. Shinjuku’s Golden Gai Bar Crawl: Tucked away in a corner of Tokyo, these 6 narrow streets are home to a variety of micro bars that can can only fit a handful of people, some only 3 or 4 seats. Most of these establishments have their own themes as well, so be sure to try the rocker bar and the French-themed bar. Yamachan: What?! An all-you-can-drink premium sake bar?! And you can bring in your own food. Am I in Japanese heaven? Located near Shinjuku, you won't find many tourists in this self-service pour your own drink bar. Tokyo Free Guide: Request the service of a free guide from this non-profit organization. 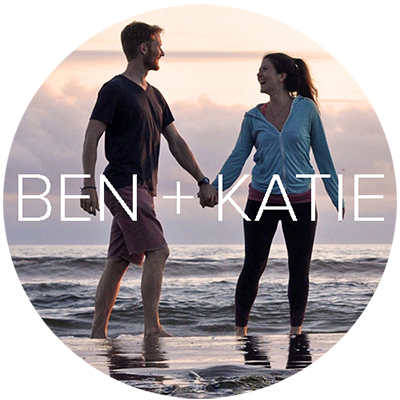 They are free of charge and can take you on a tour anywhere you want to go and they are happy and informative guides. Jidayubori Park Old Farmhouse Garden: Built in the Edo period (1800's), the series of farmhouses are maintained by an elderly couple who lived in them during the 20th century. Haunted Tokyo Tour: Ready for a good scare? Choose between one of 6 tours that will bring you around Tokyo in search of ghosts of samurais and spooky graveyards. The guide speak multiple languages and bring you to not-so-popular places in Tokyo. Japanese cuisine is renowned around the world, and there's nothing quite like trying it at the source. Foodies will love Japan for its fresh ingredients and careful attention to technique. 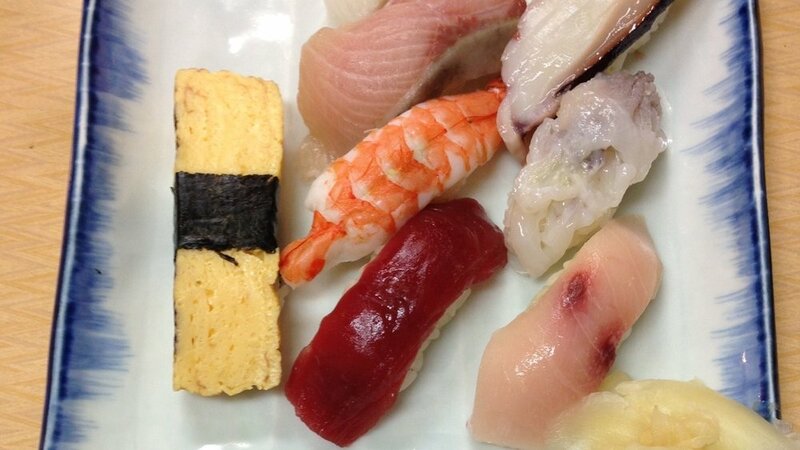 Tsukiji Fish Market: Get the freshest sushi you will ever taste. It's better than you can ever imagine. Cooking Class: Learn how to make your favorite Japanese dishes and then bring your skills back home to impress your friends. Ramen Hunting in Tokyo: Slurp down a proper ramen noodle bowl at a number of ramen shops. You'll know it's legit when you have to order at a machine first and hand over your ticket to the workers behind the counter. Food Tour: Try taking a food tour one of your first days in Japan so you know what to look for during the rest of your stay. You'll leave full of knowledge and with a full belly. There are endless weird and quirky things to do in Japan, so take full advantage of the culture. Stay in a capsule hotel: Hope you're not claustrophobic. These hotels are more popular than you think and they are not that bad. Some have TV's and personal air conditioning. Go to Comic Con in Japan: Time to get your geek on. Anime, superheros and comic all together under one roof. If that's not quirky, then I don't know what is. Take your picture in a photobooth: Not your average mall photobooth. Once you take fun pictures with your friends, head to the editing screen and make your eyes bigger, your cheeks blush, and your smile more white. You can even add captions before it prints it out for you. Vending Machine: Buy something completely random out of a vending machine, from socks to bread to headphones to beer. Karaoke: Ah, a Japanese classic. Rent out a room with your friends or take a night-time karaoke tour and belt out your favorite 90's hits. Ben's is Wannabe by the Spice Girls. Robot Restaurant Show: The most entertaining dinner you will ever go to. Lazers shining everywhere, robots battling right in front of you and dancers banging on drums, this show is unforgettable. Stay at a Ryokan: Enjoy traditional Japanese hospitality in a paper-walled ryokan room while sleeping on a comfy futon on the ground. The service is always excellent and so are the meals. Geisha Experience: Hang around the Gion district around dinner time in Kyoto to spot a geisha traveling to her events that evening. They typically don't like to be bothered so just watch from afar. You can attend a geisha performance, but be sure to book ahead of time. Tea Ceremony: There is a specific art form to creating the perfect cup of tea and the Japanese have made that perfection. Probably the best cup of tea you'll ever have. Temple Hopping: There are thousands of temples throughout Japan. Some in the heart of the city and others resting on the peaks of mountains. Try to understand the history of each temple you visit and awe in how many people they have served. Japan's super efficient public transportation system makes it super easy to travel "green" in Japan, and this eco-friendly packing list that will help you travel sustainably. Maid Cafe: this popular Tokyo cafe employs girls under the age of 18, and while it may seem innocent on the surface, a little digging will show you that these young women are exploited and sexualized for entertainment. This article is a good read on the topic, and can help you make an informed decision. Animal Cafes: We've been to a few dog and cat cafes in Korea, but have heard not so great things about the animal cafe culture in Japan when it comes to animals that are not typically domesticated, like owls and sheep. Again, do a little research and make your own informed decision about if you would like to support this business. When deciding what to pack for your trip to Japan, a big thing to consider is the time of year you will be visiting. In the wintertime, for instance, you will be encountering cold temperatures and will need warm clothing, whereas in summer the temperatures can be quite hot. For ideas of what clothing to bring, check out our packing list for long term travel or the eco-friendly packing list full of travel gear that will minimize your footprint around Japan. Universal World Travel Adapter and Converter - This adaptor/converter can plug in to Japanese outlets (and over 150 other countries outlets) and convert the voltage to for you. No more shorting out your electronics. Microfiber Towel - Always good to carry around a fast drying microfiber towel just in case your hotel doesn’t provide them. Agoda: This is our very favorite booking site for finding the best hotels in Asia. We often find hotels on Agoda aren't listed anywhere else and the prices are super competitive. Booking: We'd be lying if we said we only use one booking software. Usually, while traveling in Asia we start by searching on Agoda, but then compare on Booking.com. Sometimes the prices are slightly different, or Booking will offer free cancellation. Airbnb: While in Tokyo, we stayed in an Airbnb and loved staying in a "local" neighborhood. Our Airbnb was more reasonably priced compared with many of the hotels available at the time (during Lunar New Year). Bonus! If it's your first time using Airbnb, this code will get you $40 off your stay. No gimmicks. No catches. Just $40 free! Use the link above to get it. If you want to bring something special home from Japan, but don't want to resort to the typical, cliché items like shot glasses, key chains or magnets, here are some ideas for you! Silk fan: With many beautiful designs to choose from, it may be hard to pick just one! Don't buy one from the first souvenir shop you see. Know that quality varies greatly, and some of the cheap ones may very well be made in China, so do some shopping around! Ceramic tea set: Talk about a souvenir you'll appreciate for years to come. Can't pack a whole set? Why not pick up a couple beautiful tea cups. Just be sure you ask for them to be covered in bubble wrap! Tea: If you're a tea lover, why not bring home some of the good stuff?! It is a practical souvenir and also makes a great gift. Chopsticks: You can find beautiful chopsticks all around Japan. Some shops will even engrave your name on a set so that you always have "dibs"! Ceramic vase: Find one at any craft market, perfect for a few flowers to brighten up a room. Sake: Share a bottle or two with your friend back home to give them a taste of Japan. Artwork: Bring home a art piece that will make you think of your time in Japan everytime you look at it. Calligraphy kit: Get your favorite quote done by a professional, or why not give it a go with your own set. Cute things: Japan is full of Hello Kitty and all things cute. Pick up a small thing cutesy thing to bring back home with you. Interesting foods: You'll find all sorts of "interesting" flavors of common snacks, like green tea flavored Kit Kats and sushi flavored Lays potato chips. Daiso: If you're on a tight budget but wanna pick up a souvenir (or 3!) head to Daiso, a Japanese "dollar store" that has super cute and random items that make great souvenirs on a budget. If you've come to Japan, and just don't want to leave, there are a few ways you can extend your stay and make money or get compensated with room and board. Teaching English: Similar to teaching English in South Korea, Japan has an organization call JET that places native English speakers in Japanese schools to teach English. And the pay is pretty good! HelpX and WorkAway: Both are organizations that connect you with locals with business who need help in typically in exchange for roomand board. Most of the jobs are in the hotel/guesthouse industry or English speaking services, but feel free to peek around. VIPKID: If you want to truly make the most of your 90-day temporary tourist visa, but don't want to go broke, make some money on the side! Teaching English via video chat to children in China is a job where you can work from anywhere in the world, set your own hours and make great money! You can explore Japan during the day, and earn money in the evenings. This article breaks down exactly how much money you'll earn and shows you how to get started teaching with VIPKID! More helpful travel articles we think you'll like! Are you ready to visit Japan now?! Is there anything we didn't cover that you still have questions about? Comment below and we'll try our very best to find the answer if we don't know ourselves!